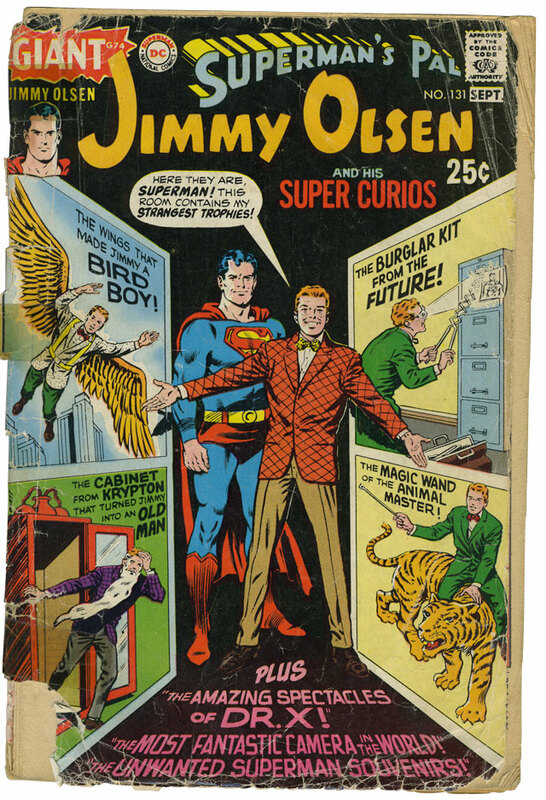 The bizarre image above is from a battered copy Of Superman’s Pal Jimmy Olsen No. 131 published by DC Comics in 1970. The book was filled with a bunch of reprint material, but it’s hard to tell being that DC maintained that house style they seemed to have had since the early 1950s. Men wore suits and hats. Women wore skirts, hats and gloves. Jimmy always had his bow tie. An adult must have bought me this comic to shut me up. I remember not liking it because of it’s lightly humorous tone. Goofy Jimmy Olsen would get into a bunch of screwball situations that Superman would extricate him from. Where were the cops and robbers? Where were the super-villains? Giant robots? Death beams? This particular comic book is probably one of the reasons why I ended up firmly planted into the Marvel Comics camp when I started spending my own dough on comics. I appreciate it more now in it’s very goofiness. Superman was big enough to float spin-offs featuring his girlfriend, his cousin and that loser kid from work. 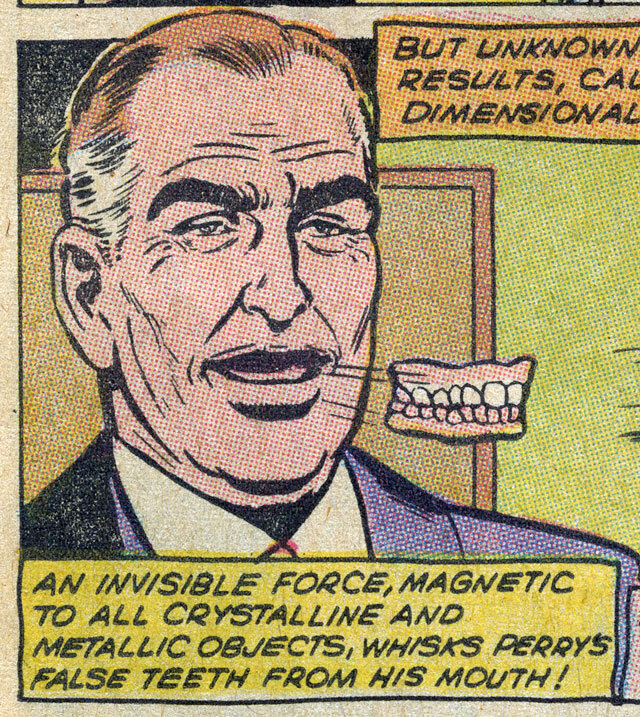 This entry was posted in What I Miss About Comics and tagged 1970, DC Comics, dentures, Jimmy Olsen, Perry White, Superman. Bookmark the permalink.